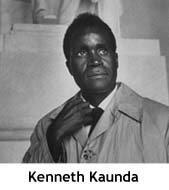 Kenneth Kaunda, the first president, outlawed all opposition political parties. Due to an ever-increasing inflation rate and rising debts, riots took place in Lusaka and many of the protestors were killed, and Kuanda was then forced to establish a multiparty democracy. In 1991, Kuanda lost the presidential election to Frederick Chiluba. Chiluba brought about economic reforms which included privatization and establishment of a stock market. He was reelected in 1996. Prior to the 2001 elections, Chiluba contemplated changing the constitution in order to allow him to run for another term, but protests followed and he did not pursue the change. Levy Mwanawasa, a former vice president under Chiluba, was elected president. Mwanawasa suffered a stroke in June 2008 and died in Paris in September. Vice President Rupiah Banda took over as acting president and was elected president in October. Banda has announced his intentions of running for the office in the 2011 elections. In the past few years, Zambia's economy has stabilized – primarily due to foreign investments in its mining industry and higher copper prices. 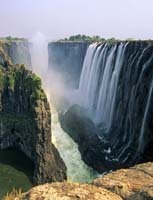 Zambia is famous for the Zambezi River and Victoria Falls, the latter named by David Livingstone, a Scottish explorer, and the first European to see the falls. In recent years an impressive collection of national parks has been developed in an effort to protect once decimated species of wildlife, including elephants, leopards and lions.